Rich in history and tradition, Katnook’s vineyards span 198 hectares of prime terra rossa soil. 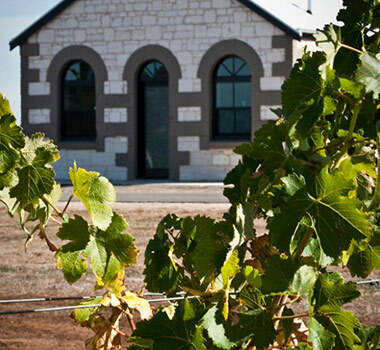 Katnook’s profile features three main ranges, reflective of Coonawarra’s terroir. At the highest echelon, the cult Collector’s Series features limited release wines of exceptional quality, under the Odyssey and Prodigy labels, which are crafted only in outstanding vintages. The flagship Katnook Estate range encapsulates classic Coonawarra with single varietal wines sourced from distinguished vineyard sites, and the Founder’s Block range is our second label, fashioned in an ‘early drinking’ style with approachable fruit forward character. Tell us about Katnook Estate. 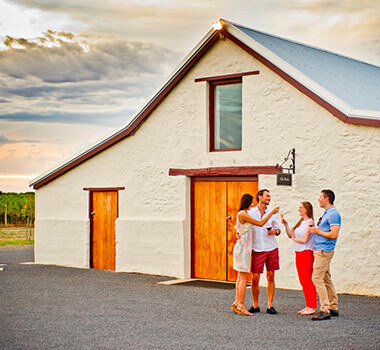 Katnook Estate’s winemaking history stretches back to 1896, when Coonawarra’s second vintage was made in the Katnook woolshed by Scottish immigrant John Riddoch. This same woolshed today houses Katnook’s oak barrels and basket press. It’s no surprise our passion is the king of reds - Cabernet Sauvignon. Katnook’s Cabernet Sauvignon reflects its strong Coonawarra provenance with plenty of intense blackcurrant and mulberry fruit definition, mid palate richness, finely grained tannins and excellent flavour length. The wines have medium to long term cellaring potential of 12-15 years. Renowned not only in Australia, but also internationally, Katnook has developed extensive distribution throughout Asia, Europe, Canada and the USA. Within Australia, Katnook is proud to partner with discerning brands, including Mercedes Benz, Bang & Olfsen and Opera Australia. What are some major accolades Katnook has achieved? Amongst distinguished accolades, Katnook has won two Jimmy Watson trophies (1987 and 1998) and two major trophies at the 2003 International Wine and Spirit Competition, UK (Best Vintage Red Wine of the Year and Best Australian Red Wine). In addition, Odyssey Cabernet Sauvignon, Prodigy Shiraz and Katnook Estate Cabernet Sauvignon have all earned a place in Australia’s Langton classification, 'the honour roll' of fine Australian wine. What are the hallmarks of Katnook wines? We pride ourselves on varietal and Coonawarra regional definition, producing wines with seamless balance of fruit and structure and fantastic ageing capabilities. The complex flavour profiles and great tannin strcture of the wines ensure longevity and the ability to age gracefully. This year Katnook celebrates 30 vintages of Estate Cabernet Sauvignon and I commemorate my 35th vintage at the winery. Truly a year of milestones and great memories!